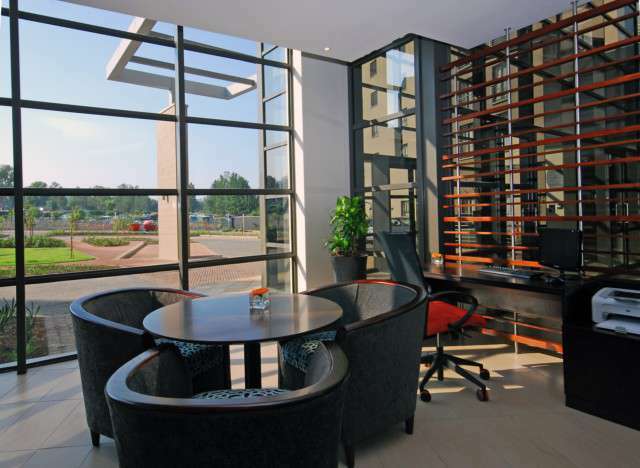 City Lodge Fourways is ideally positioned for both corporate and pleasure travellers. 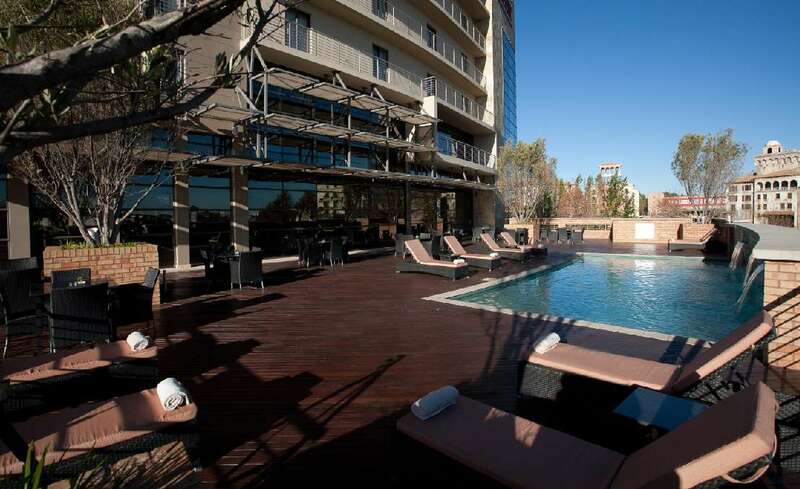 Nestled within the very heart of the South African hub of Johannesburg, this hotel is within close proximity to a range of activities, sights, sounds and flavours. 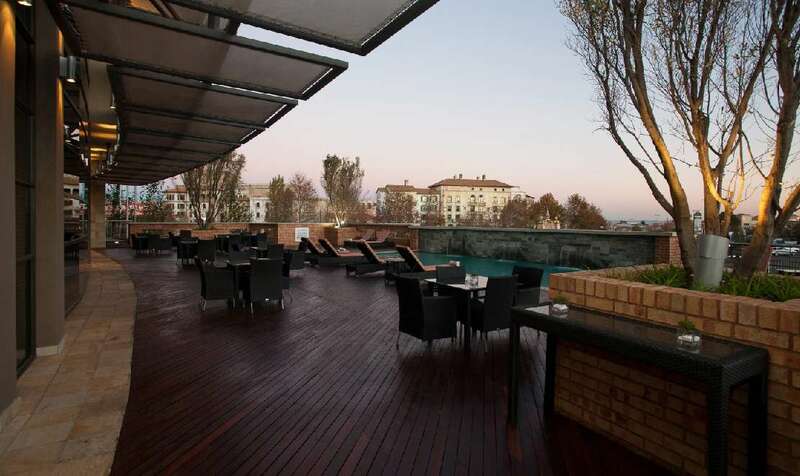 One of the chief attractions to guests of the hotel is Monte Casino, a world-class entertainment centre with restaurants, a casino, theatre and cinema complex. 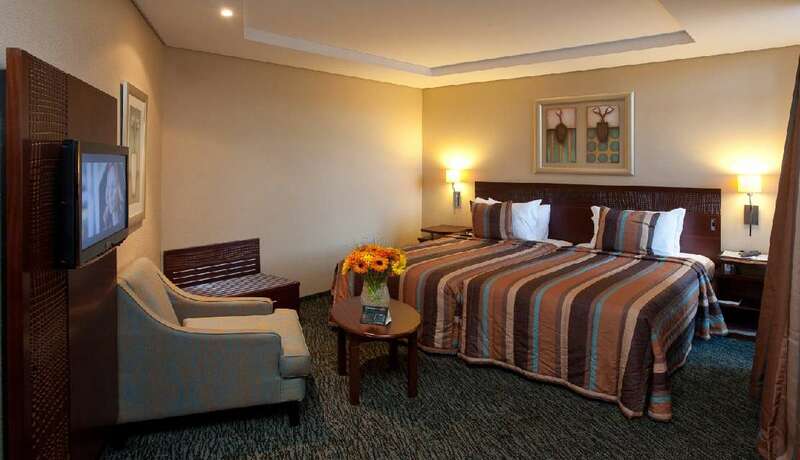 This convenient facility ensures that young ones and their guardians are kept occupied in safe and exciting surrounds. 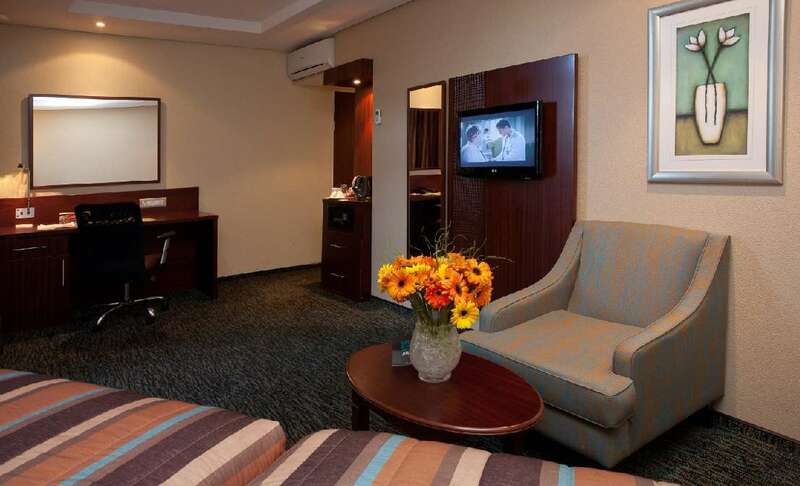 Every inviting suite at the City Lodge Fourways Hotel has an en-suite bathroom (with a separate bath and shower), air-conditioning, a double bed OR twin beds, flat-screen television with satellite channels, an electronic safe (can accommodate a laptop), work desk and a tea- and coffee station. 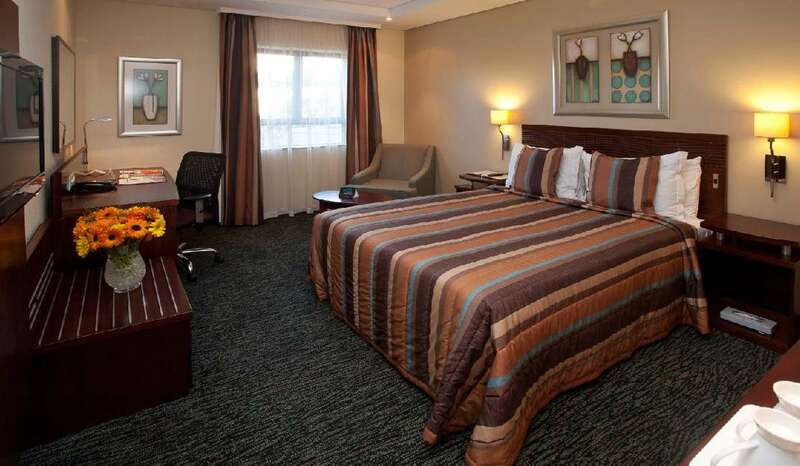 There are rooms designed to accommodate physically disabled guests available on request. 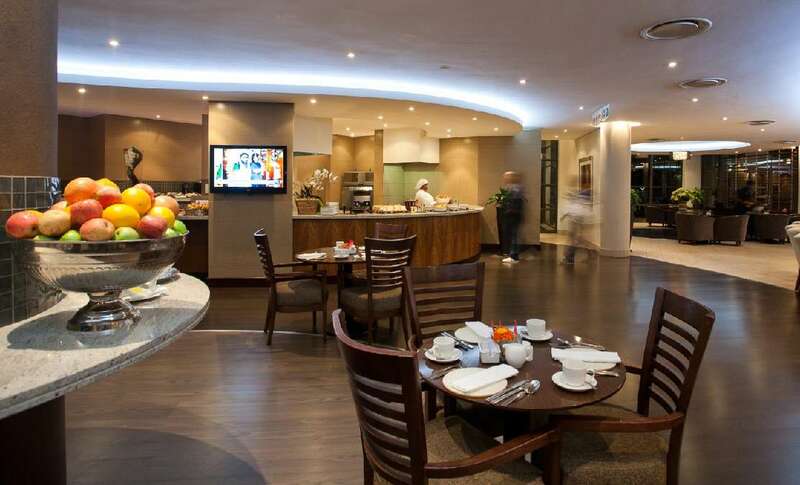 The City Lodge Fourways has its own dining area for guests wanting to indulge in a hearty breakfast. These delicious flavours can also be enjoyed on the outside deck. 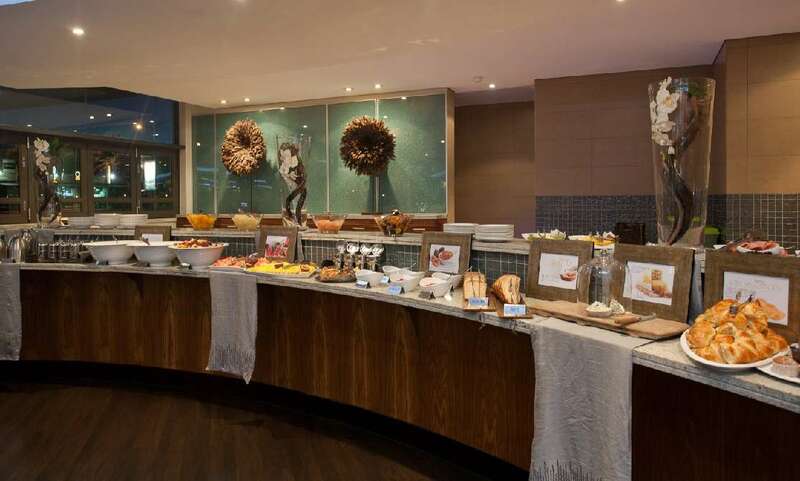 The breakfasts comprise a Full English Breakfast and a buffet-style Continental spread. 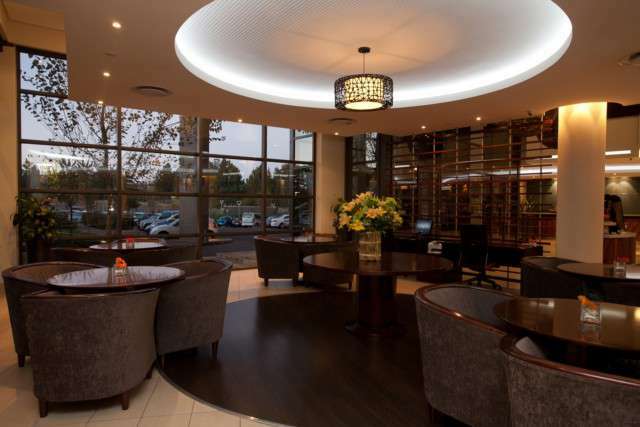 The coffee shop at City Lodge Fourways is perfect for business meetings, a quick cuppa with friends or a comforting brew with a loved one. The menu includes light meals like salads, tramezzinis, soups, and so on. 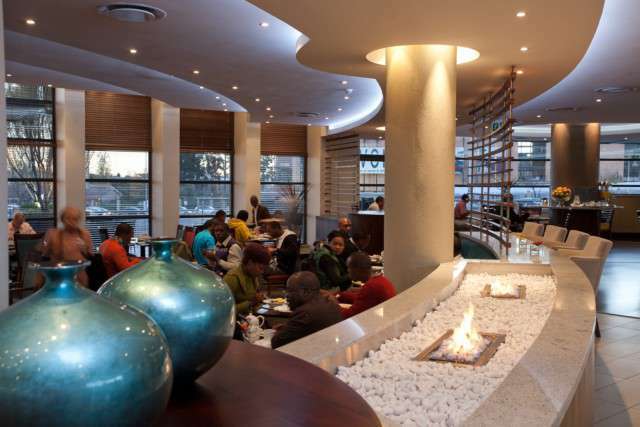 Relax before a dinner with friends or colleagues by sipping on a cool sundowner, or round off a delicious meal with a nightcap from the bar and sundowner deck. 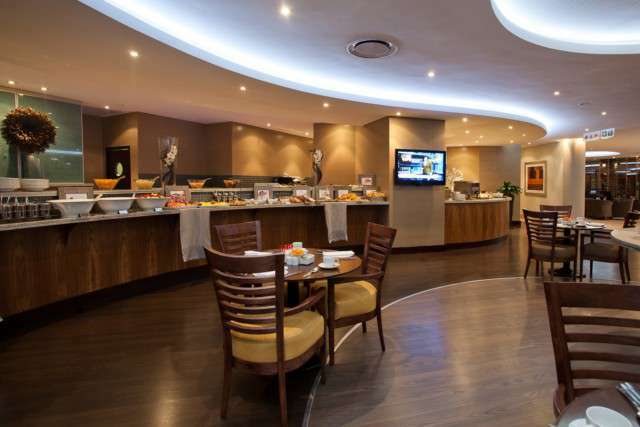 Not only are the rooms at the City Lodge Fourways comfortable and inviting, but the hotel also offers many other services and facilities to ensure the convenience of guests. 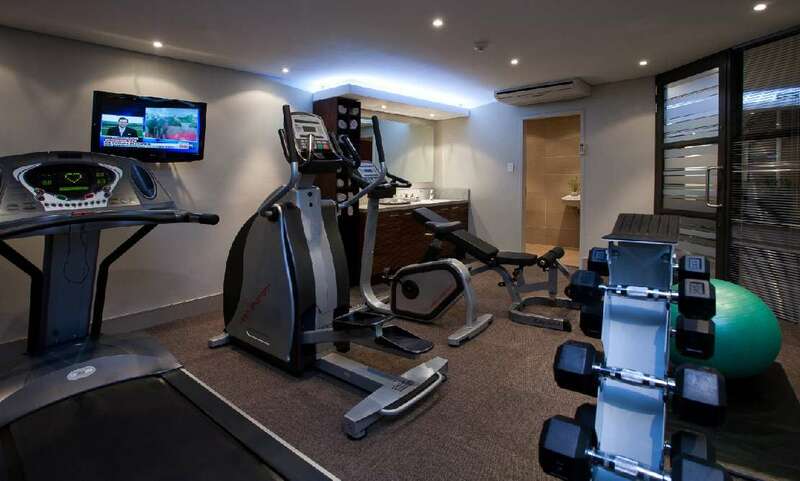 These include an infinity pool, sundowner deck, secure underground parking, wireless Internet access in commercial areas, a fitness room and indoor gym. 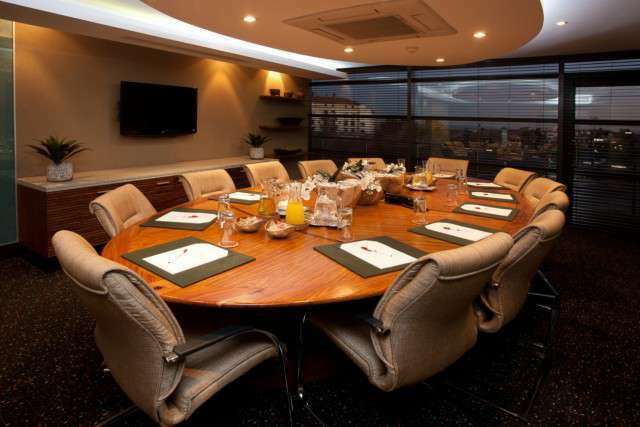 There are also boardroom facilities for corporate guests. These include two rooms - one seating 12 delegates and the other 14. 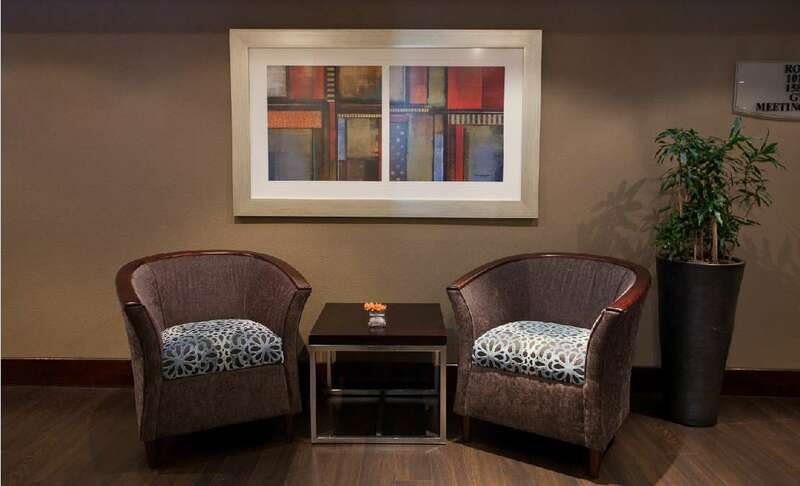 These rooms are equipped with flat-screen televisions, laptop connectivity and conference call capabilities. 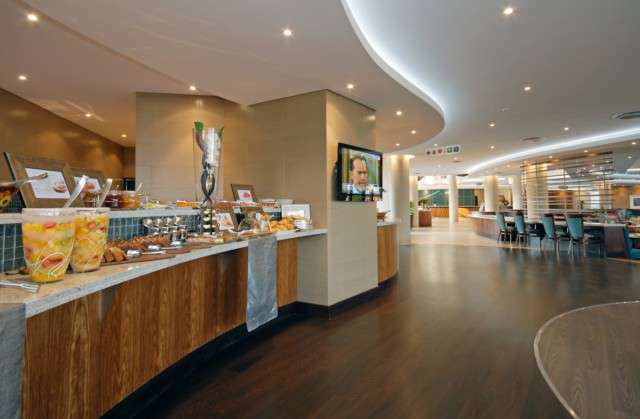 Follow the R24 from the airport towards Johannesburg, for approximately 12km. At the interchange take the N3 in a northerly direction towards Pretoria, approximately 18km. Follow the N1 to Roodepoort at the next interchange. Take the William Nicol Rd Exit. Turn right at the third set of traffic lights at Monte Casino into Monte Casino Boulevard. Continue through two roundabouts and then turn right at the third roundabout into Bradfield Road. Turn left at the next traffic circle. 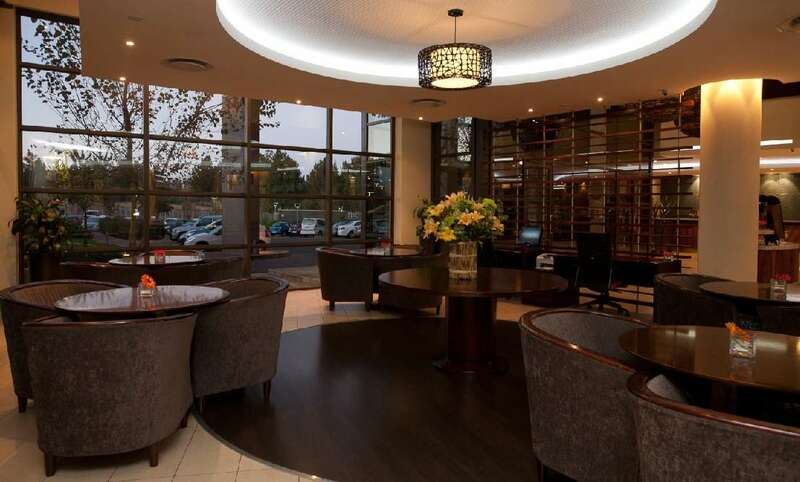 The entrance to City Lodge Fourways will be on your left-hand side, a little way down the road.